So tiny you needed a magnifying glass to see. And set him running--Maple Leaves in Autumn. Humbles the low, circling forest. This giant at the center of so many prints? No fake crags, no Chinese mist, just a big bald mountain. 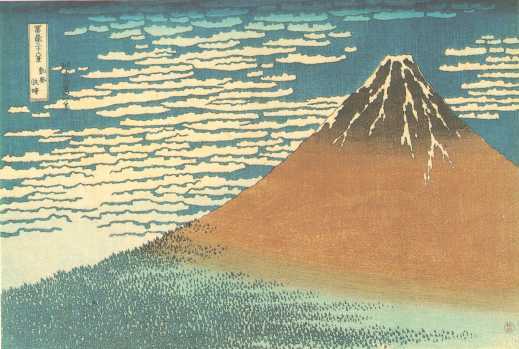 The earthy artist, Mount Fuji.